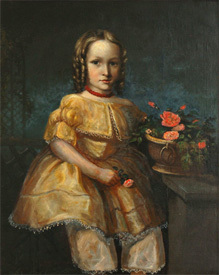 Portrait of a young girl dated 1849. 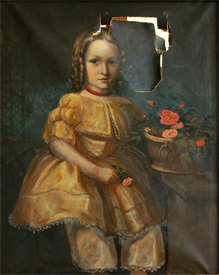 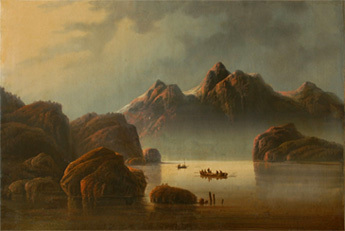 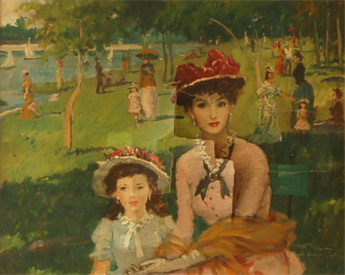 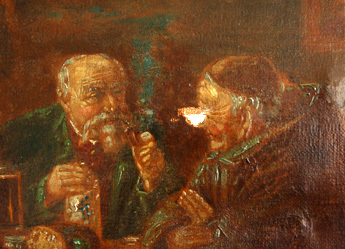 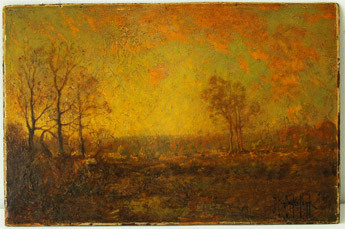 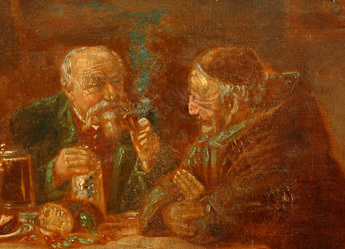 Painting from the private collection of Robert Rosenblum, artist: unknown, Italian, ca. 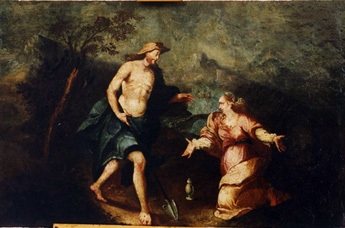 late 17th century, subject: Christ appears arisen before Mary Magdalene. 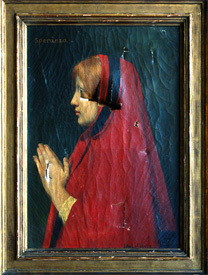 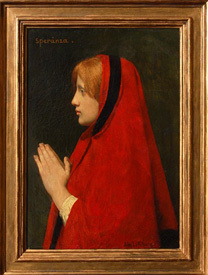 Artist: Jules Lefebvre (1836 - 1911), title: Speranza, owner: Peter Raymond. 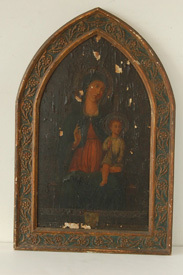 Icon ca. 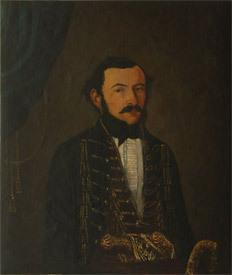 19th century, owner Dmitri Klimentov. 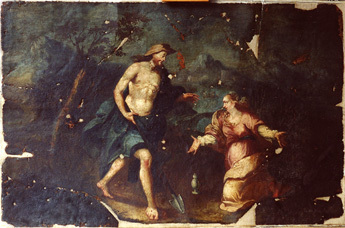 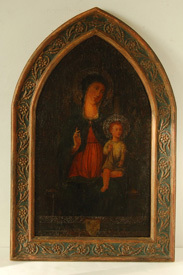 Painting from the private collection of Charles Ruas, artist: unknown, Italian, ca. 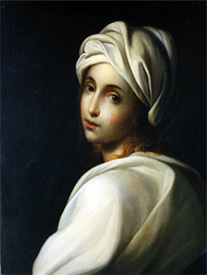 19th century, subject: Beatrice Cenci. 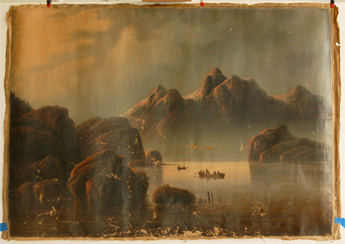 Artist unknown, date ca 1880. 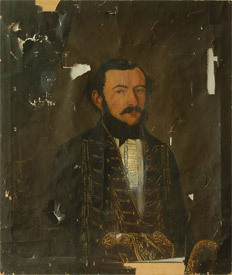 A sea captain from Montenegro. 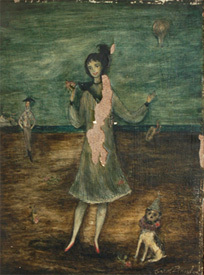 Owner Carrie Weinblatt, oil on board. 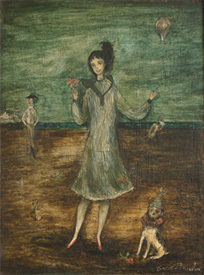 Artist J. 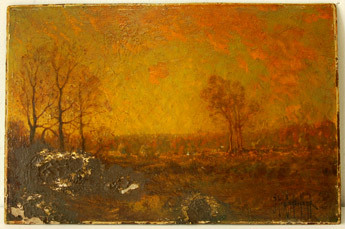 Wood, date 1892. 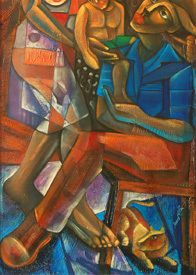 Artist R.B. 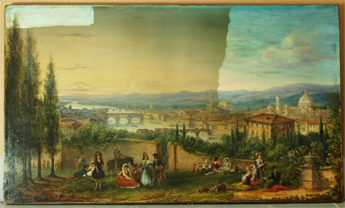 Harraden date 1836 “View of Cambe.” Partially cleaned, the painting was in a fire. 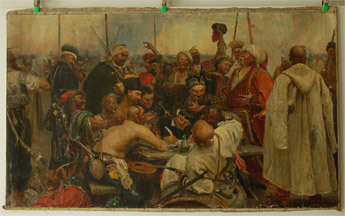 A copy of the classic by Ilya Repin. 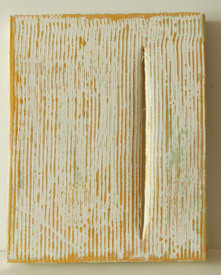 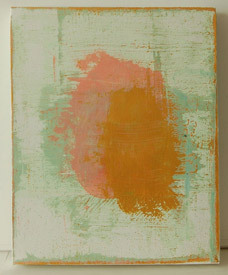 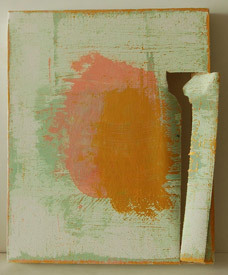 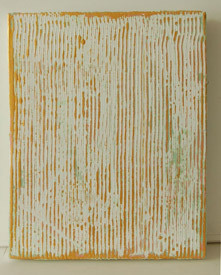 Artist, Andrew Baron "Untitled." 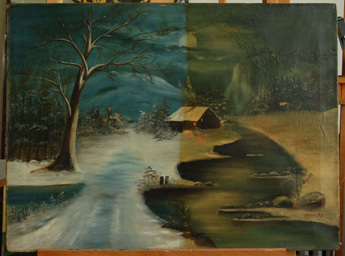 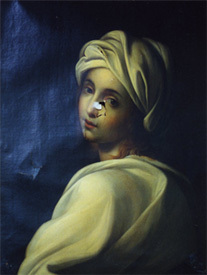 a vandalized painting restored. 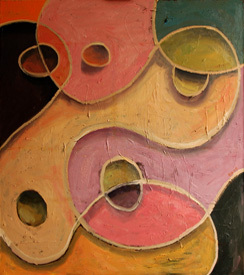 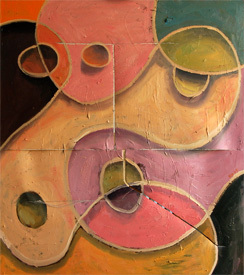 Artist: Isreal Gomez Rivero, title, "La Familia."